Carefully sort, wash and dry berries. Boiling water pour the sugar and to the extent possible, dissolve it in water. Pour sugar syrup in a pan lined with honeysuckle and leave to infuse for 4-8 hours to berries gave the juice. It is advisable to leave the berries in sugar overnight. Present a lot put on the fire as soon as the berries begin to boil, make a slow fire and cook for 5 minutes, skimming until sugar is dissolved. Then turn off the oven and leave the berries in the syrup for 6-8 hours. They thus infused and soaked in sugar syrup. Then again, put half the jam on the stove and simmer for 10 minutes over low heat with the moment of boiling. During cooking, regularly stir the berries and remove the foam. Sterilize jars and hot jam lay on the banks. If you are going to store the jam all winter, add 2 g of citric acid. Banks close the plastic lid. The cooled jam store in the refrigerator or in a vegetable pit. 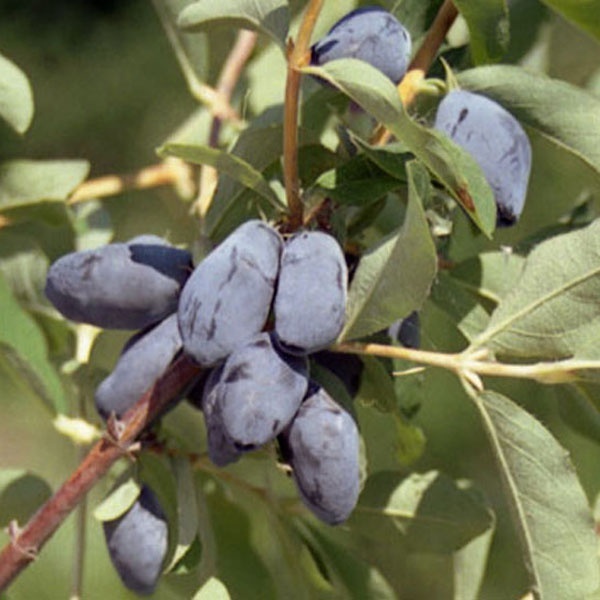 There are many varieties of honeysuckle: there are sweet and sour varieties, taste like blueberries or blackberries, there are varieties with bitterness. At harvest don't miss your time, otherwise ripe berry is quickly showered with the bushes. For jam it is better to use stainless steel cookware or enameled. The jam is ready if not melt a drop on the plate, the syrup separates from the fruit easily. If jam is cooked of sweet fruit (honeysuckle, strawberry, cherry or pear), you will need to add a quarter tsp. lies. citric acid, which must be dissolved in a teaspoon of warm water, one kilo sugar. For the syrup instead of water you can take berry juice - for example, red currant or Apple.